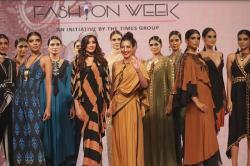 The power-packed Delhi Times Fashion Week, an initiative of the Times Group concluded on a glamorous note at Roseate House, Aerocity. 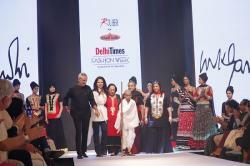 The 3-day long event witnessed the presence of the crème de la crème of the fashion world and was attended by thousands of denizens. 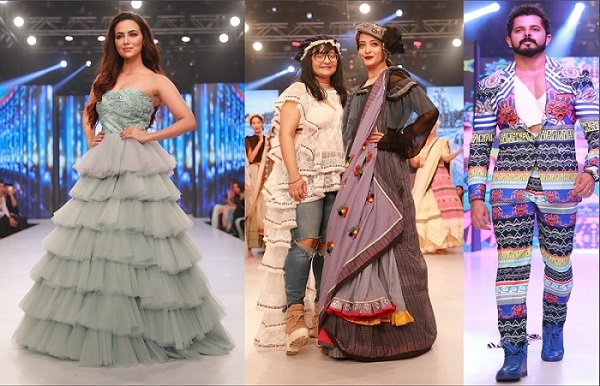 The gala event showcased collections by eminent designers like Ritu Beri, Charu Parashar, Mandira Wirk, Narendra Kumar, Subarna Ray, Payal Jaiswal, Ali Ahmed, Ashima Leena, Saakshi Bindra, Gagan Kumar, Neetu Singh, and Ken Ferns. Rohit Gopakumar, COO, Optimal Media Solutions - Times Group Company said ‘The only thing common between Weather and Fashion is that with every season there is a distinct change. Delhi Times has always been a conduit to disseminate and call-out all that is happening with the fashion industry to its discerning audience. Be it what’s In or Out in trends, capturing the mind of designers, or what the Delhi’s fashion conscious are rooting for, DELHI TIMES is a step ahead in covering these seasons of Fashion. With our latest edition of ‘Delhi Times Fashion Week,’ we have grown as a platform for Designers to showcase ‘What Next’ of their creations. Come and witness a runway which will see fashion taking off to a new High! !